Our organization has been affianced in providing Circular Knitting Machines, Used Circular Knitting Machines and Computerized Flat Knitting Machines. 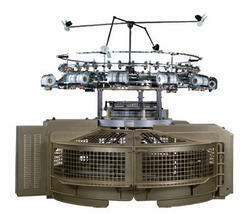 These machines are known for their high performance, energy-efficiency and long service life. We supply high quality circular knitting machine both (new & used) in new we represent Kingtech (QXM Knitting Machines) Knitting machines as their sole agent in India. 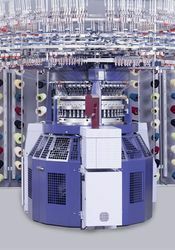 We deals in all types of knitting machines starting from plain Single Jersey to Rib, Interlock (8lock), Single Jersey With Fleece Kit, Single Jersey & Double Jersey Mini Jacquard and Fully Computrized Jacquard including autostripper and pollar fleece machines. We do all major European, Korean, Japanesse, Taiwanesse & Chinese Brands such as: Mayer, Orizio (Vignoni, Santoni), Terrot, Pilotelli, Pailung, Fukuhara, Sinhar, Jinhar, Wellknit, QXM, Kingtech etc. 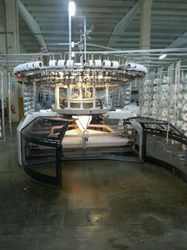 All types of used circular knitting machines including single jersey, double jersey, rib, interlock, s/j with fleece kit, double jersey (d/j), autostripper, mini jacquard, full jacquard, computrized jacquard and pattern jacquard machines with all major brands such as Mayer, Orizio, Terrot, Vignoni, Santoni, Fukuhara, Monarch, Pilloteli, Pailung, Wellknit, QXM, Sunda, Sinhar, Jinhar. Offering you a complete choice of products which include Kauo Hen KH 323 Flat Knit Machine, Computerized Flat Knitting Machine, Flying Horse Computerized Flat Knitting Machine, FH Computerized Flat Knitting Machine and Collar Making Computerized Flat Knitting Machine. 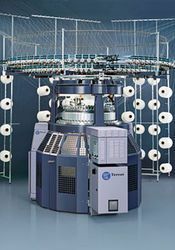 We deals in all types of used (second hand) pre-owned Textile High Speed Circular Knitting Machines both types (Tubular & Openwidth) single jersey s/j, double jersey d/j, rib, interlock, computerized jacquard and mini jacquard. 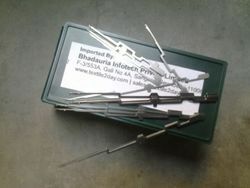 Leading Exporter of Circular Knitting Needles, Knitting MCS Cam, Sinkers, Crochet Knitting Needles and Flat Knitting Needles from New Delhi. 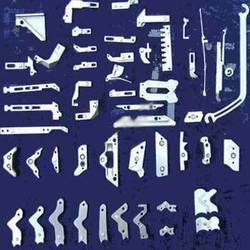 Our product range includes a wide range of Knitting Machine Cams. 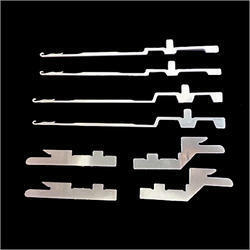 Providing you the best range of Knitting Machines Sinkers with effective & timely delivery. Offering you a complete choice of products which include All New QXM Single Jersey Open Width Machine, All New Qxm Double Jersey High-speed Knitting Machine, All New Terry High Pile Machine and All New QXM Single Jersey Knitting Machine. We are a leading Exporter of Ehwha Stenter Machine, Ferraro Open Width Compactor Knitting Machine, HTHP Jigger Dyeing Machine, Used Ramisch Calendering Machine and Arioli Continues Washing Range After Printing Machines from New Delhi, India. 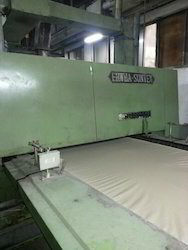 Exporter of a wide range of products which include Picanol GTX Rapier Looms (Used), Sulzer Pu 390 Cm E14 Tappet Looms, Vamatex Leonardo Weaving Loom, Vamatex C401 Rapier Looms and Picanol Omni 800 Plus Weaving Machine. 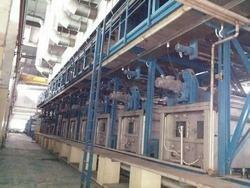 Prominent & Leading Exporter from New Delhi, we offer Benninger Indigo Sizing Machine. 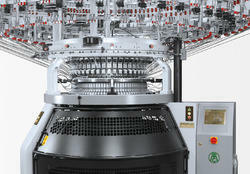 Offering you a complete choice of products which include Stork Rotary Printing Machines. 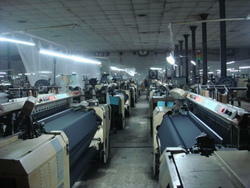 Pioneers in the industry, we offer Flat Bed Printing Machine from India.